How are you all? Anyone in the UK must be wondering when the weather is going to pick up! I am envious of all my American blogger friends right now! beautiful weather there. I keep seeing all those lovely post, all basking in the sun. I will be on my holidays soon to “Sunny Scotland” and wanted to get myself some smart shorts. I have lots of regular every day shorts to see me through the summer, so I thought I’d treat myself to some smart ones. And I have to say I am really pleased with these M&S ones that I bought. See listed below…. 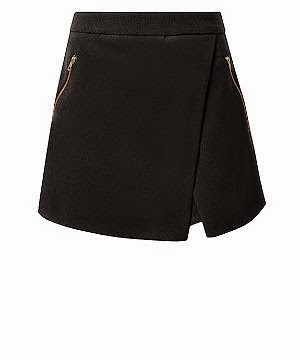 Ok not quite shorts but a skort I had to add these for not only are they smart and will go with anything, but the fantastic price £7.00 HERE Will have to be quick ordering these. A beige colour, of course another wardrobe staple colour. I have to say they are really comfy, and they don’t seem to crease easily either. Getting some decent photos done on the other hand was another matter. The sun would come out, great, put shorts on, take picture. By the time I made it to the only corner of the garden shaded from the wind, it would cloud over, then chuck it down! in out, in out! Shall we just give up? Again sun gone in. Five minutes after this is was throwing down massive hail stones! What we do for blogging ? I know I am fed up of staying inside this week!! Hope is nice from today as the children break up from school for a week. Loving all the shorts you picked out 🙂 Can't wait to wear mine!! We sometimes go from winter directly into summer! It is quite warm here. Love the shorts you are weaing, they are smart!! Also loved the chmabray and the suede from Mango as well. Great choices! Looking lovely!